Dobie Gray (born Lawrence Darrow Brown; July 26, 1940 – December 6, 2011) was an American singer and songwriter, whose musical career spanned soul, country, pop, and musical theater. 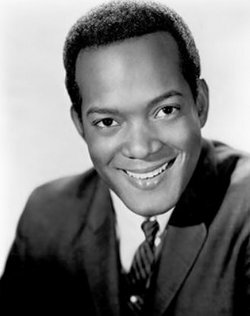 His hit songs included "The 'In' Crowd" in 1965 and "Drift Away", which was one of the biggest hits of 1973, sold over one million copies, and remains a staple of radio airplay. 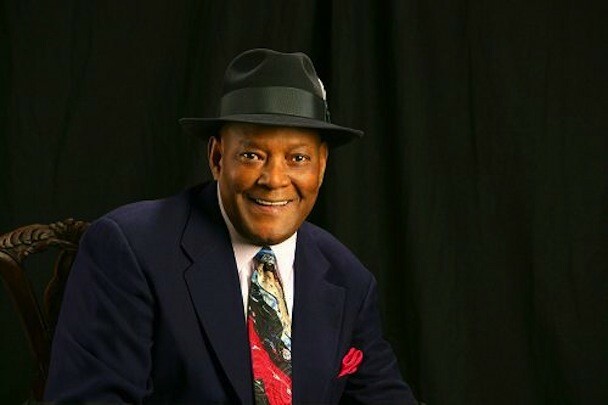 Gray's origins have always been the subject of debate, but it seems most likely that he was born Lawrence Darrow Brown in Simonton, a small town near Houston, Texas, to a family of sharecroppers and Baptist ministers. It was through his grandfather's influence that he developed a love of gospel music and singing in general, and in his early 20s he moved to Los Angeles in pursuit of a show-business career, either in acting or singing. He met Sonny Bono, then a well-connected hustler in the Hollywood music business, and it was with Bono's help that he made his first record, To Be Loved, which appeared on the small Stripe label in 1960, under the name Leonard Ainsworth. 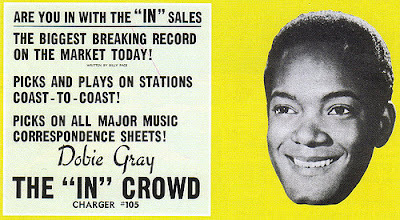 Other recordings appeared on several small labels and there was a minor hit in 1963 with Look at Me on the Cor-Dak label. 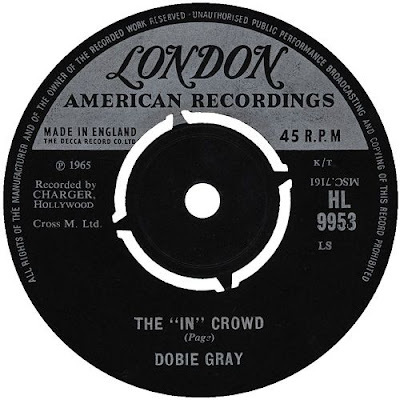 By that time he was recording as Dobie Gray, a name suggested by a popular TV situation comedy, The Many Loves of Dobie Gillis, whose cast included Tuesday Weld and Warren Beatty. the Go-Go"; this period -- spent mostly on the small, poorly distributed Cordak, Charger, and White Whale labels -- was the most soul-oriented of his career. 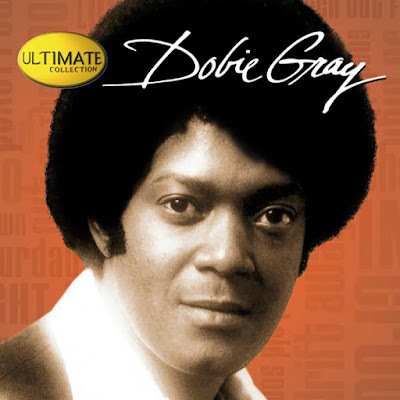 It would be some time before Gray returned to the charts; in the meantime, he pursued a concurrent acting career, eventually spending two and a half years with the Los Angeles production of Hair. During his Hair years, Gray also sang with the band Pollution, which recorded two albums on Prophecy beginning in 1971. 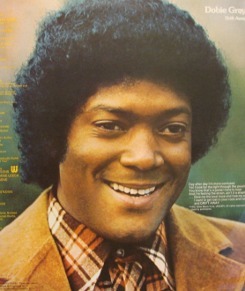 In 1972, Gray resurfaced as a solo artist on MCA, with producer/songwriter Mentor Williams in his camp. Gray promptly scored the biggest hit of his career with the Williams-penned "Drift Away," which hit the Top Five in early 1973 and remains an oldies-radio staple today. 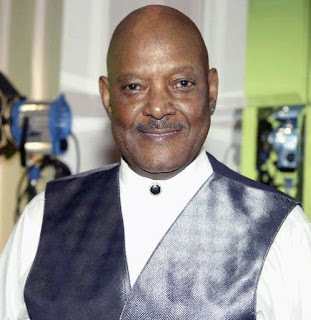 toward country as well, and when he moved to Capricorn in 1975, he recorded in Nashville with new songwriting collaborator Troy Seals (he eventually relocated there permanently). Gray's popularity in Europe and Africa was growing steadily, and he managed to talk South African authorities into allowing him to play to integrated audiences during the apartheid era. 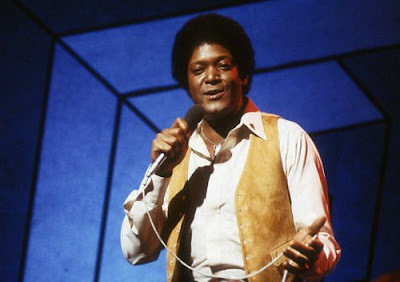 flavoured "You Can Do It" became his final Top 40 hit in 1978, the same year he recorded the first of two LPs for Infinity. When Infinity went bankrupt, Gray concentrated exclusively on songwriting for a few years, then re-emerged on Capitol in the mid-'80s as a full-fledged country artist. He made the lower reaches of the country charts with singles like "That's One to Grow On" and "From Where I Stand," but found it impossible to break through to a wider country audience, and again faded from view after two albums. In 1997, Gray released Diamond Cuts, a mix of new songs and re-recorded past hits. In 2001 the bass-guitarist and producer Norbert Putnam, whom he had met at Quadrafonic, supervised an album titled Soul Days, in which Gray's readings of soul standards such as When a Man Loves a Woman and People Get Ready demonstrated how comfortably his voice could locate the middle ground between country and R&B, with a warm tone and a delivery that was un-dramatic but heartfelt. That same year he released a set of Christmas songs, entitled Songs of the Season, on his own label. He returned to the US charts for the last time in 2003, when he appeared on a remake of Drift Away, singing with the rap-rock star Uncle Kracker. A big thank you to Alejandro @ elbarberolocorock.blog for active link.